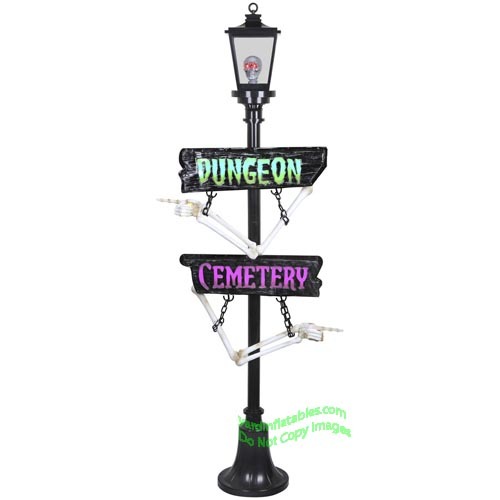 Halloween Lamp Post with Cemetery/Dungeon Signs! 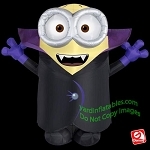 This Gemmy Halloween Decoration comes with a internal L.E.D lights to create a glowing night-time display. Lure trick-or-treaters to your yard with this lamp post’s color-changing, flickering lights that create the creepy feel of a short circuit. A ghoulish skull with glowing red eyes inside the lantern will raise the hairs of anyone who gets close.